When I saw this recipe on Bakerella I was excited to try it. 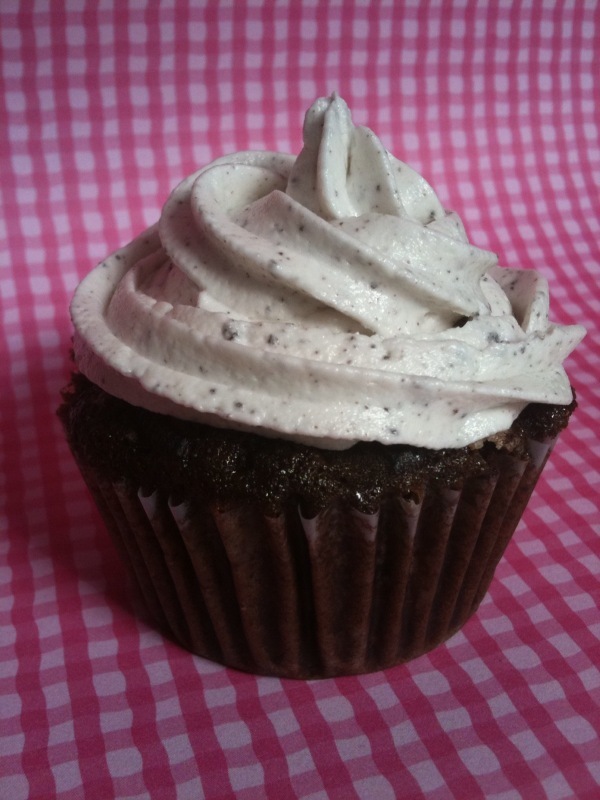 Then I remembered a cookies and cream cake I made several years ago that I didn't really care for, and had second thoughts about these cupcakes. But in the end, I decided to give them a try - and I'm so glad I did! They are super moist, and even though I'm not normally a fan of buttercream icing, the Oreo crumbs that are mixed in make all the difference. I ended up with an extra package of Oreos and would have made a second batch if our brother hadn't found them in the pantry! Recipe from Bakerella - get it here!